Moun­tain View Seeds is not only a pre­mier seed com­pany, we are also a source for valu­able infor­ma­tion. 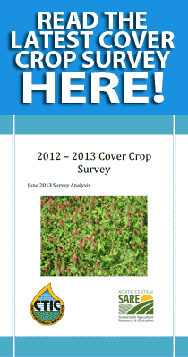 As an added ben­e­fit to our cus­tomers, Moun­tain View Seeds is happy to share the lat­est news, tips and infor­ma­tion related to cover crops. 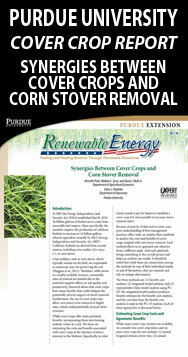 Check back here often to stay up to date on all things regard­ing cover crops. The new Farm Bill is expected to be passed by the Sen­ate and hope­fully signed into law soon after. The con­ser­va­tion title of the farm bill con­fer­ence report main­tains a strong com­mit­ment to work­ing lands con­ser­va­tion and stream­lines and con­sol­i­dates con­ser­va­tion pro­grams and but adds con­ser­va­tion com­pli­ance require­ments to crop insur­ance. The bill retains the Con­ser­va­tion Reserve Pro­gram but decreases the enroll­ment cap to 24 mil­lion acres by 2018 and includes and options for early release from cer­tain con­tracts. The Envi­ron­men­tal Qual­ity Incen­tives Pro­gram and the Con­ser­va­tion Stew­ard­ship Pro­gram remain mostly unchanged, how­ever fund­ing and annual enroll­ment are decreased. The bill con­sol­i­dates the Farm­land Pro­tec­tion Pro­gram, the Wet­land Reserve Pro­gram and grass­land ease­ments into one ease­ment pro­gram. The bill also cre­ates a new part­ner­ship pro­gram that uti­lizes sev­eral con­ser­va­tion pro­grams and fund­ing from non-​federal partners.